A new business start-up, based in Fife, is celebrating a period of outstanding growth during its first year trading. In fact, Arthur and Simon Garden Maintenance has grown so dramatically in spite of the recession that the business has just taken on its first full-time member of staff. Run by brothers Arthur and Simon Krolczyk, the business, which offers quality, customer-focused gardening services, has been going strong since April 2008. 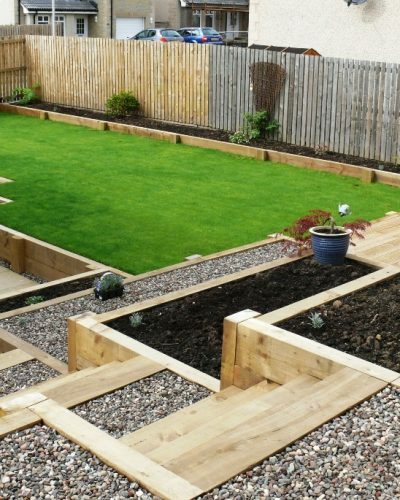 With Simon, who previously worked for a local landscaping company and as a self-employed gardener, doing most of the initial work, the brothers are pleased to have been able to recruit. Born in Poland, they moved to the UK in 2004 – Scotland having made a huge impact on Arthur during a previous visit, particularly in terms of opportunity and development. Arthur had spent five years studying Agricultural Environment Protection at the University of Agriculture in Krakow, specialising in Soil Science, and Simon, a former Political Science student, was ready for a new challenge. They each took a job at a vegetable processing firm and, after working their way up the ranks, decided to realise their joint ambition of setting up and running a business. Spotting a gap in the market, they decided to concentrate on year-round garden maintenance and Simon returned to college to learn all he could about establishing a successful business. With a HNC in IT & Administration under his belt, Simon was pleasantly surprised to find that the process of setting up a business in Scotland was much easier than he initially thought. He said: “It turned out that our only real challenges were to overcome the language barrier and become familiar with the binding legislation. “We needed to find somewhere we could access legal advice and suitable information and where we could count on professional support every step of the way. In fact, when Arthur and Simon contacted BG Fife, that’s when their business really started to take off. Simon added: “We had one of BG Fife’s leaflets and decided to go along to a meeting, where we learned more about the organisation and opportunities to apply for financing. “We received lots of valuable information and, after we lost the rest of our uncertainty and concerns, decided to start the business. “We received £1,000 to set up and, after being introduced to the Prince’s Scottish Youth Business Trust (PSYBT) scheme, secured a £4,000 business development loan this year. Charles Doeg-Smith, Start-up Adviser at Business Gateway Fife, said: “Starting up their own business was a logical progression for Arthur and Simon. 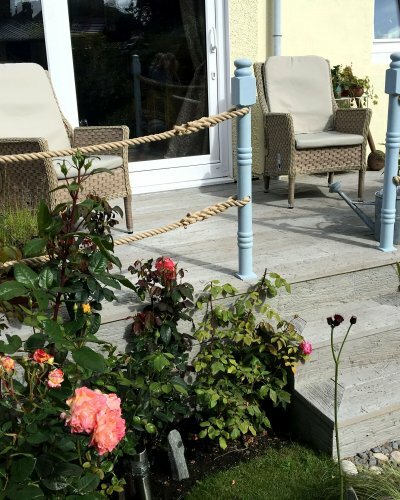 “I helped them to develop a business plan on both occasions and have to say that, for a gardening business, their marketing strategy is very innovative and second to none.